Enforcer Leisure batteries are the most popular and best quality batteries in leisure and caravan market today. 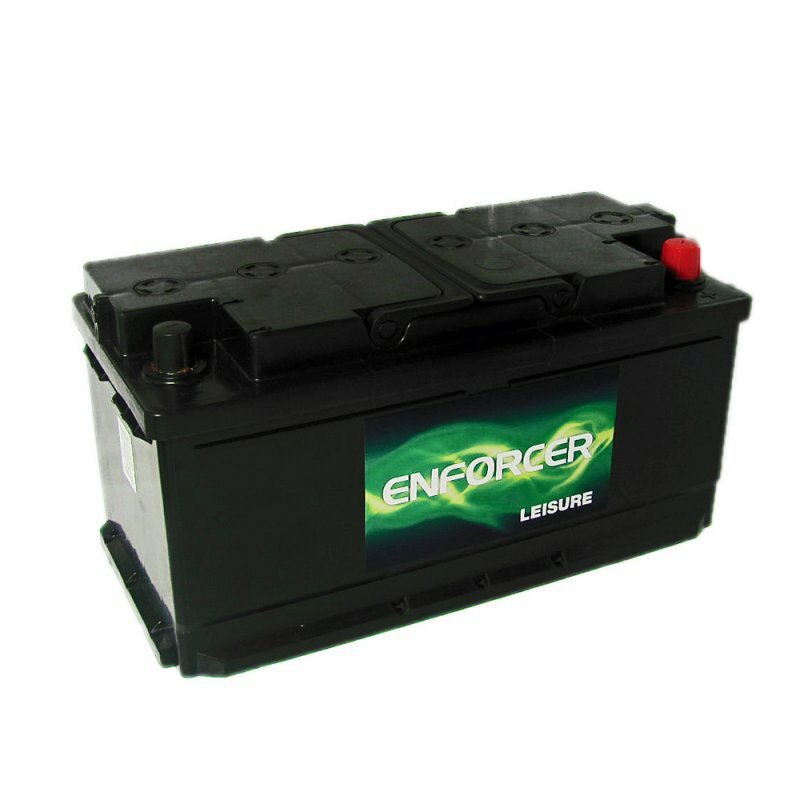 The Enforcer 12V 110 Ah Lowcase Leisure Battery is made from tough construction and is built and designed for powering all types of caravans, motorhomes and camping applications along with boat use as well. This battery comes fully charged and ready to use. This is a low maintenance battery which provides a low water loss design. The Enforcer 12V 110 Ah Lowcase Leisure Battery is designed for deep cycle battery applications where ordinary leisure batteries do not quite fit. The battery has 2-year warranty and is able to withstand the pressure of day to day use. If you want maximum power, reliability with longest durability at the best price and excellent value for money, then Enforcer 12v 110Ah Lowcase Leisure Battery is the answer. I would like to thank Vicki Lees for her very helpful advice when I spoke with her yesterday regarding the purchase of a leisure battery. Her professional manner was very impressive and her customer service skills were second to none. I ordered yesterday and have been informed by yodel that my battery will be with me this afternoon, excellent service. The performance of the battery has been second to none. Suits my caravan needs perfectly and provides more power. Excellent quality battery and highly recommended. Delivery was quick and well packed. Got what I ordered first time. Excellent service. Battery fits perfectly inside my caravan. Good discharge and cycles on the battery. Battery received in good state. Brilliant delivery service used.